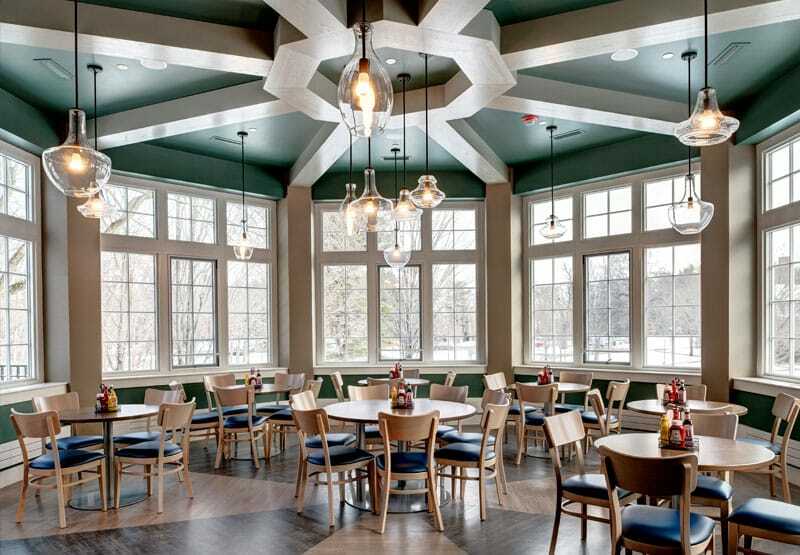 Babson College’s addition to the Trim Dining Hall now houses the New Rogers Pub for of-age students and alumni. 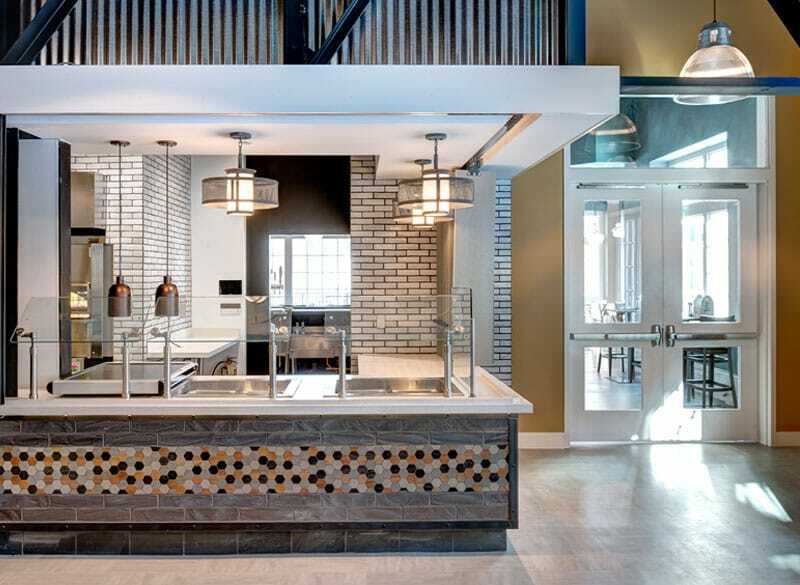 Babson College brings entertainment to its dining hall, keeping up with current trends in technology, and entertaining by offering this amenity to the of-age students and alumni. 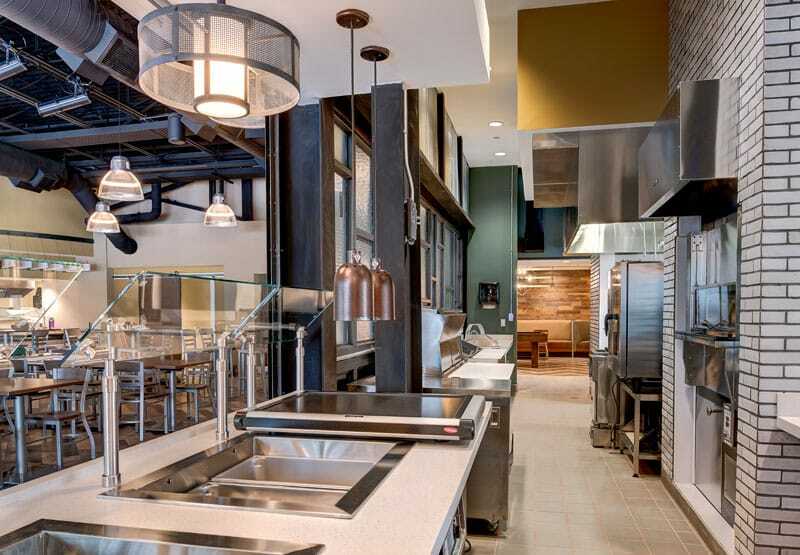 This project included a 2,500 SF ground-up addition to Babson’s existing Trim Dining Hall that now houses the new Rogers Rub for of-age student and alumni enjoyment. Accompanying this new addition was a summer slammer renovation of approximately 4,000 SF. The Trim Dining Hall seats 285 students with a mixture of booths and cafeteria seating that displays a dark wood style throughout. Three localized serving stations are fed from the one centralized kitchen in the building. Two island beverage stations are located at either end of the main dining floor for convenience purposes. The main octagon-shaped dining area features a two-story open space with a floor to ceiling curtainwall at its east side. The horizon room is an extension of the trim dining area providing 200 additional seats to the area. The Rogers pub addition provides an additional 75 seats to the facility. Additional features of this dining hall include: new lighting fixtures, wood paneling, a game room and a stage for entertainment. Architects are PRA Architects and Connor Architecture. For more information click Babson College. 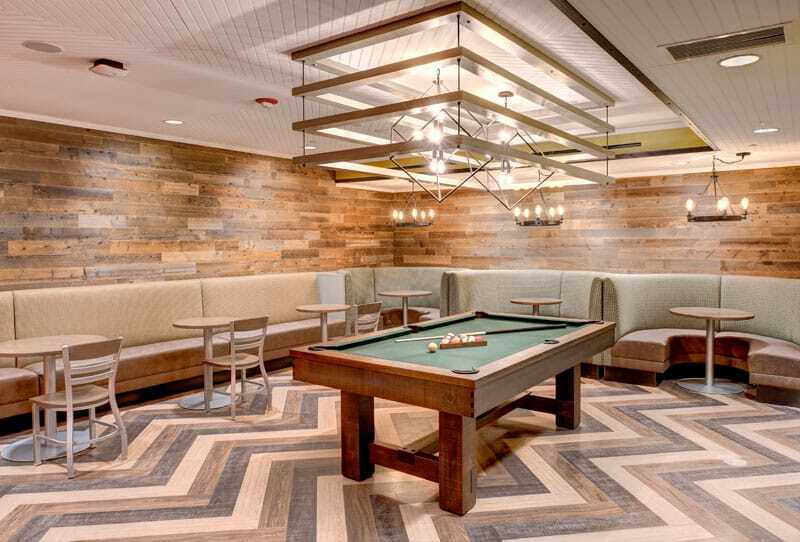 Babson now has the opportunity to offer this as an additional feature to the College, hosting an area to entertain of-age students as well as alumni in a safe and fun environment.